Find writing groups, contests, advice, and gatherings via the resource links lower of this page. City Lights aims to share the literature of the Southern Appalachian region with the world, and the world of books with our community. How can we best help you bring your work to our customers? Is an event here a possibility? Please download our policies attached as a .pdf at the bottom of this page, then contact our event coordinator, Eon Alden. Something to do now, if you haven't already: join IndieBound, a national network of independent booksellers. Once there, you can add unlisted books (with ISBNs), and add cover images for your work if needed. You can also set up affiliate buy buttons for your web, email and social media links so your contacts have the option to purchase your book(s) from their local bookstore. 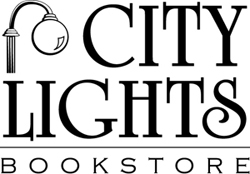 Whether it's an intimate gathering where a guest speaker connects with our insightful customers, or a large off-site event at one of the neighboring venues of our various partner institutions, City Lights Bookstore in downtown Sylva, North Carolina has a proven record of sponsoring high-quality author appearances. We've helped launch every one of Ron Rash's books since the release of his first novel One Foot in Eden. We closed the street in front of the bookstore to hold a balcony reading in which Tom Robbins presented Villa Incognito to an assembled crowd of several hundred fans. Sharyn McCrumb, Robert Morgan, Susan Wittig Albert and other well-known writers have found their events at City Lights to be very rewarding. 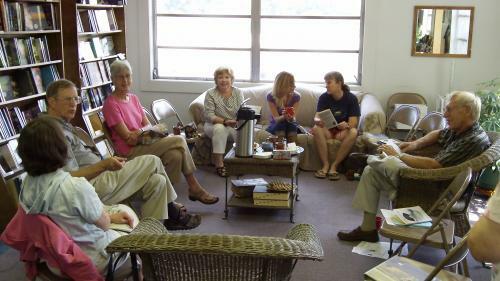 Partnering with neighbors such as Western Carolina University or the Jackson County Public Library has enabled us to accommodate far larger audiences than the 40 seat capacity of our Appalachian Regional Room (pictured above) would allow. Daniel Woodrell, Nikki Finney, Pat Conroy, Alan Weisman, Charles Frazier, Lee Smith, Russell Banks, Winston Groom, Maxine Kumin, Senator Bob Graham, and Nick Flynn are a few of the authors for whom we've efficiently sold big stacks of books at nearby festivals, workshops and readings. Our publicity staff works with local print, web and broadcast media to field press releases as far east as Asheville (2010 pop. 83,400) and saturates Jackson and surrounding counties (combined pop. of approximately 179,000). Our mailing list reaches about 450 postal addresses and about 2400 emails. Our Facebook Page boasts over 5000 "Likes" (and most of those folks actually realize we're not THAT City Lights), while our growing Twitter following currently ticks in at about 450. We report our weekly unit sales to the IndieBound and New York Times Best Seller lists. 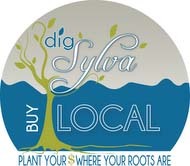 Located about an hour (50 Miles) southwest of Asheville, NC and about 2.5 hours (150 Miles) northeast of Atlanta, GA, Sylva is a conveniently situated in a beautiful valley between the Great Smoky Mountains and the Blue Ridge. 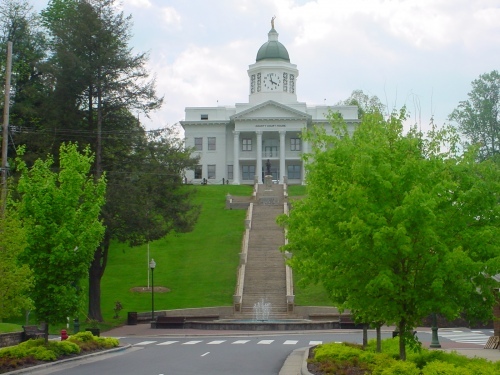 We can provide assistance with arranging lodging, dining (special dietary needs can generally be met in this progressive county seat of 2600 people), as well as ground transportation within the region. 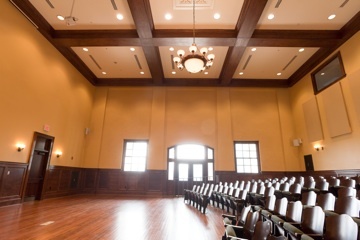 The Community Room in the historic old Courthouse is a part of the Jackson County Public Library Complex, and seats about 250 people. 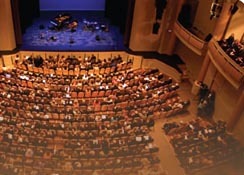 The main hall at the John W. Bardo Fine and Performing Arts Center on the campus of Western Carolina University (in nearby Cullowhee) seats about 1000 people.